Morally I didn’t want to ride an elephant. 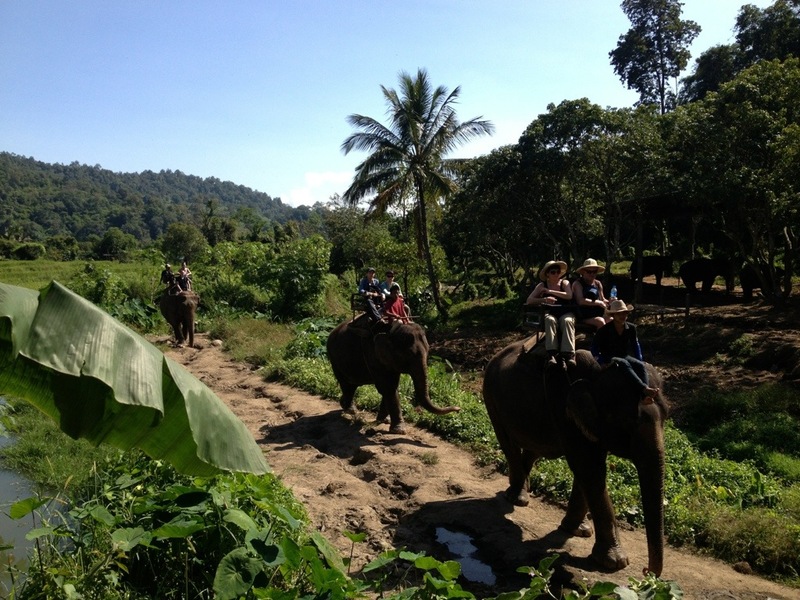 I actually had selected to trek for the second day of my trip but after a nasty fall and painful graze of skin off my knee (as well as the only person who had selected the two day trekking option) I was forced to come along with the rest of the group to the elephant camp. Instead I just sat and watch and fed the free roaming elephants grass.